Create your own Gold or Platinum Record from Music City, USA. Send us your label art and text for engraving. Records are put in a black frame with double matting and glass. Perfect for Record Breaking Sales or a great gift for someone special. 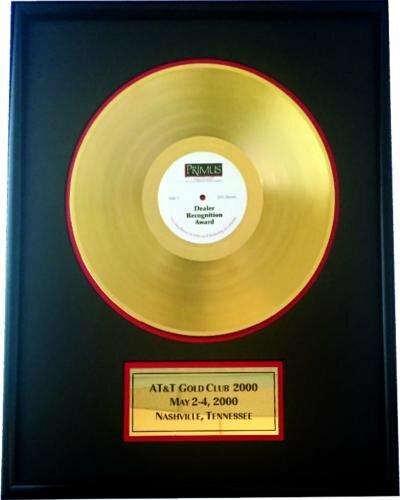 Create your own custom gold or platinum record from Music City, USA. Just send us your art for the label (we can help, also) and the text that you'd like on the plate. These are put in a very nice black frame with double matting and glass top.